Class 6 Labels | Toxic Labels - Buy Securely Online. 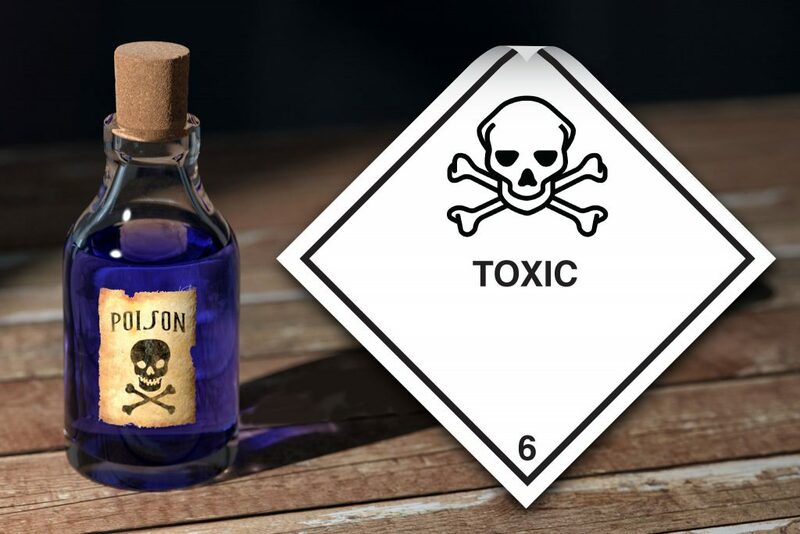 Class 6 labels (toxic labels) are used for the identification of toxic and infectious substances during transportation. WHAT ARE CLASS 6 Dangerous Goods? Class 6.1 Toxic. Substances liable to cause death or serious injury or to harm humans or animals if swallowed, inhaled, or by skin contact. Class 6.2 Infectious Substances. Substances known or expected to contain pathogens (microorganisms, such as bacteria, viruses, parasites, fungi etc. which can cause disease in humans or animals). Commonly transported Class 6 goods include: poisons, cyanides, phenols, lead compounds, some pesticides, biological samples and medical waste. Class 6 labels for packages must be at least 100 x 100mm, from edge to edge, and set at an angle of 45°. The label must show a dotted outer boundary line (unless it is being applied on a background of contrasting colour). The class number ‘6’ must be shown in the bottom corner and be in text at least 12mm high. The inner black line of the label must be at least two millimetres thick and there must be a gap of 5mm between this and the outer dotted border or the outer edge of the label. 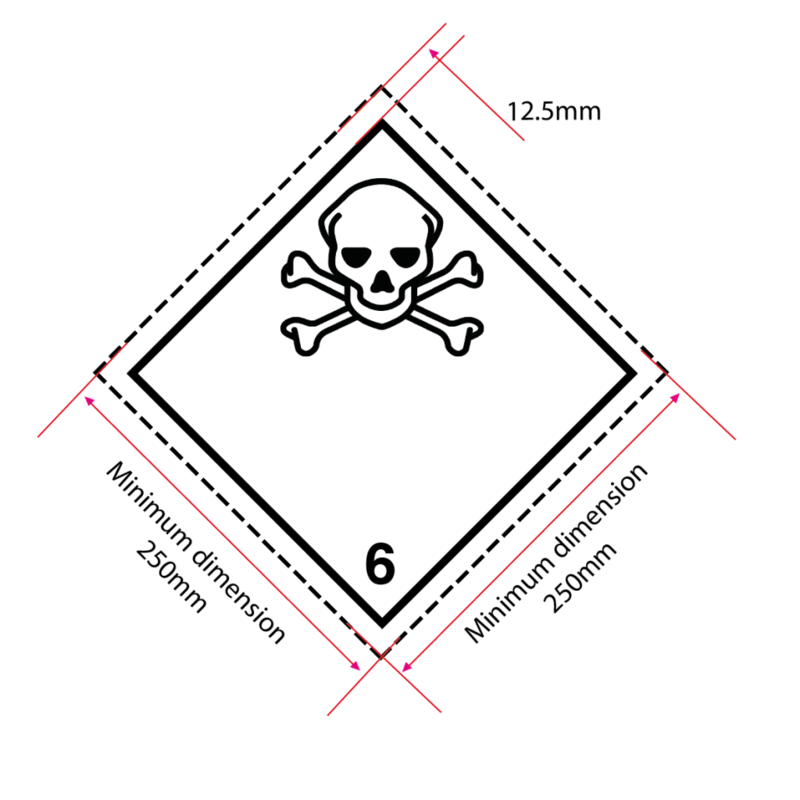 The upper half of the label must contain the black scull and crossbones symbol. The Class 6.1 placard is used for cargo transport units such as freight containers and road/rail tanker vehicles. Class 6 placards must be at least 250mm x 250mm, from edge to edge, and set at an angle of 45°. The placard must show a dotted outer boundary line (unless it is being applied on a background of contrasting colour). The class number ‘6’ must be shown in the bottom corner and be in text at least 25mm high. There is no specification for the thickness of the inner line, as yet, but there must be a gap of 12.5mm between this and the outer dotted border or the outer edge of the label. 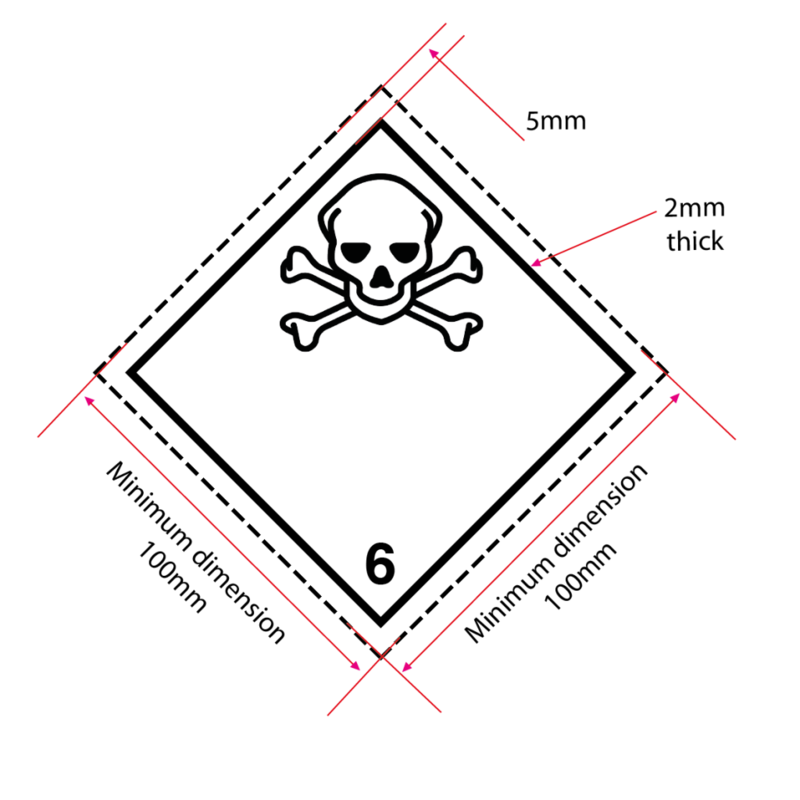 The upper half of the label must contain the black scull and crossbones symbol. All Class 6 placards manufactured by Stock-Xpress comply with IATA/ ICAO, UN ADR/RID and IMDG/IMO requirements, and are made from materials that meet the strict BS5609 standard. BS5609 is a specification for labels that are intended for marine use, whereby both the ink and the substrate must be able to withstand 3 months continuous immersion in sea water and still be legible and have good adhesion. We manufacture Class 6 labels at 101 x 101mm on rolls of 250, and as single cut labels at 100x100mm. Class 6 placards, for use in international transportation, are supplied at 250x250mm and 200x200mm for UK transport only.